Make peanut butter, almond butter, cashew butter, pecan butter, macadamia butter, hazelnut butter, pistachio butter, and more... quickly and easily. 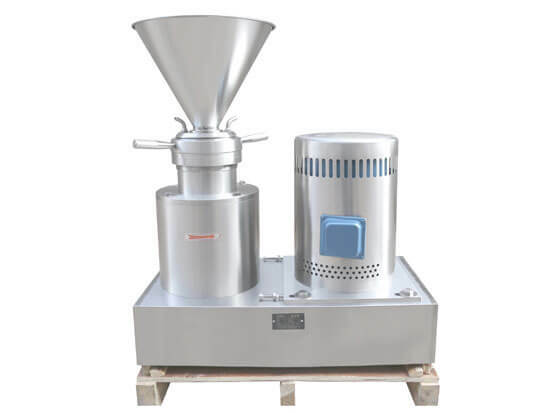 ☆ The peanut butter maker is designed to make peanut butter, sesame paste, etc with various tastes. ☆ Besides, the grinding machine can be used to grind peanut milk, protein milk, soy milk, fruit sauce, moon cake stuffing, fruit jam, etc. ☆ This exclusive nut butter mill is popular with home and small commercial center. The abrasive blade driven by motor makes high-speed rotation when the material is conveyed into the grinding chamber by the screw feeder. 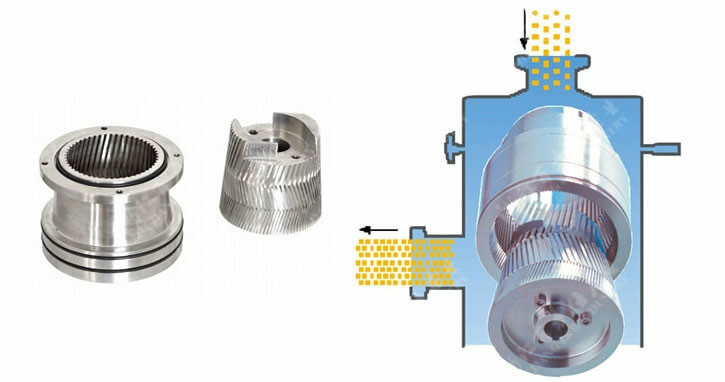 The material is firstly coarsely crushed and then drop into space between movable and dynamic plate, finely ground by the strong friction force between the abrasive blade and material. 1. The abrasive blade is made of the super quality abrasive article with the strong binding agent, very durable. 2. The clearance between the abrasive blade is adjustable for different fitness grinding. 3. High yield, high efficiency, and small size make the peanut butter machine extremely popular both for home and commercial use. 4. The peanut can be directly made into peanut butter without pre-crushing. 5. Adopting the latest technology of wet particle processing. 6. Multifunctional and compact structure. 7. Small in size, covering little space. 8. High yield and easy operation. Peanut butter contains large amounts of dietary fiber, which can help to control the blood sugar and cholesterol levels and reduce the chance of developing colorectal cancer. Besides, peanut butter contains high levels of proteins, vitamin E, B3, minerals copper, iron, calcium and potassium, and some other nutrients, and raw peanut butter even has more beneficial effects. Many people worry about that eating peanut butter can gain too much weight, but the fact is that the peanut butter can give you a feeling of fullness and a small amount of peanut butter can stave off the hunger pang longer than the ordinary foods such as rice or noodles. As long as you eat the right amount of peanut butter, you can be both healthy and slim.